blah blah blah…ระวัง!…blah blah blah…. Things don’t always work the way they’re supposed to; and sometimes they don’t “not work” in the way that they’re supposedly not working. 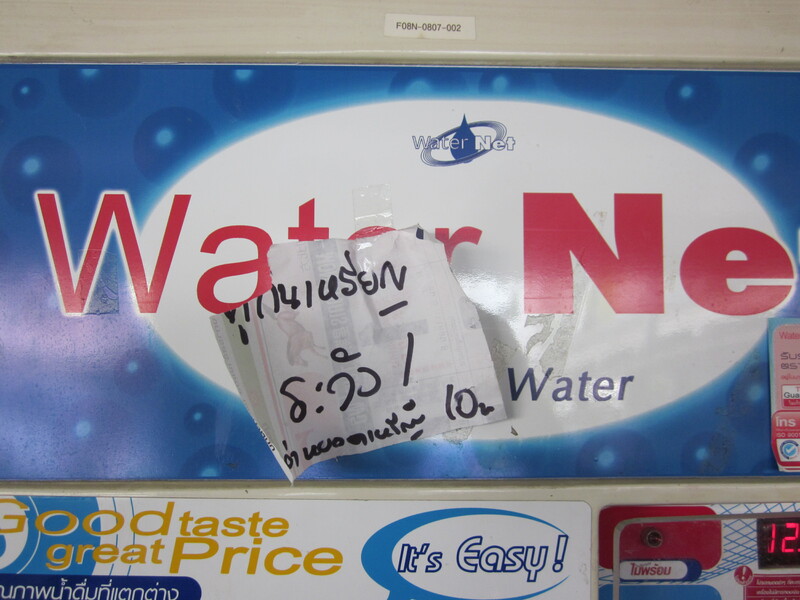 This entry was posted in language learning, not understanding, reading Thai, Thai language, words, written Thai and tagged second language acquisition, signs, vending machine on 19 November 2014 by adamf2011.